NJvision - Dr. Dawn Arnold (Union) - Book Appointment Online! Our Union practice is equipped with modern state of the art optometric equipment and technology. We carry the newest styles in eyeglasses, sunglasses and contact lenses. Contact us today and experience the difference at the offices of Dr. Dawn Arnold, optometrist! Contact us today and experience the difference at the offices of Dr. 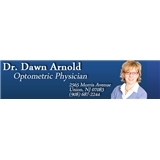 Dawn Arnold, optometrist! With many years of optometric training and education under her belt she has treated many patients. Patients seeking treatment with Dr. Arnold are assured of receiving only the finest quality care, because she has a genuine concern for your well-being. Our optometric practice is conveniently located on Morris Avenue in Union, New Jersey. Dr Arnold is an awesome eye doctor.